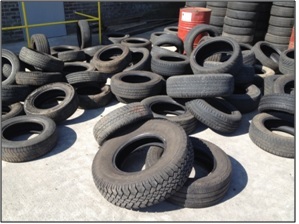 Each bale is made up of a 100 tyres that are fully inspected and any casings with exposed wire are rejected, the remainder are cleaned and compacted. The end result is a product which is 100% recycled. We are actively promoting this totally sustainable product in large scale civil engineering projects. 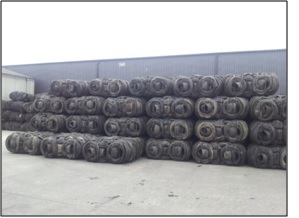 Tyre bales are already being used in projects as diverse as drainage engineering, landscaping, and from noise barriers to flood defences. See our applications page for more details. 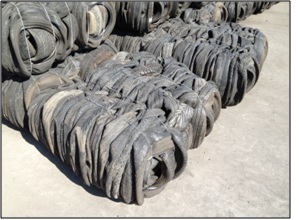 Tyre bales are also extremely economical as a construction material. Comparison with traditional gabion baskets has shown that tyre bales cost less to use and are three times more efficient on haulage.